Fitness startup BookYourGame has raised an undisclosed amount of funding while Kalyan Krishnamurthy is back at e-commerce company Flipkart as head of categories. Here's a quick round-up of the startup and technology stories of the day. 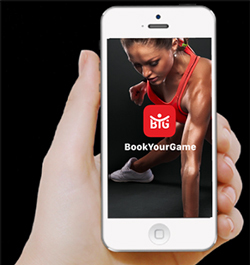 Fitness startup BookYourGame, run by Bookyourgym Fitness Pvt. Ltd, has raised an undisclosed amount of funding in a round led by Sanjay Verma, former chief executive officer, Cushman & Wakefield, Asia Pacific, and Amit Khanna, managing partner, Antuit-Europe, a Mint report said. The startup, which allows users to book fitness sessions at gyms without a membership, was founded by two former Goldman Sachs employees in February. It plans to use the funds for marketing expenses. Kalyan Krishnamurthy is back at Flipkart as head of categories, Business Standard has reported Krishnamurthy had left the e-commerce company in November 2014 to join the Singapore office of investment firm Tiger Global. During his nearly two-year stint at Flipkart starting in early 2013, Krishnamurthy had served as the head of categories and as interim chief financial officer. Tiger Global is a key investor in Flipkart as well as in Amazon, its biggest rival. 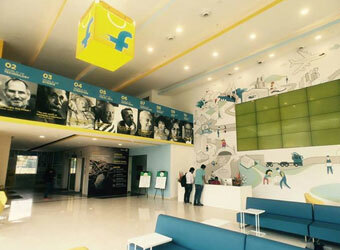 Flipkart has seen several top-level exits in the last few months, including that of chief product officer Punit Soni, chief business officer Ankit Nagori, head of seller business Manish Maheshwari and head of commerce and advertising Mukesh Bansal. Saurabh Goel has quit as the chief product officer (CPO) of Jabong after less than a year with the fashion e-commerce company, according to Mint. He plans to set up his own venture called Prosperx.com in the financial technology space. Prosperx, a marketplace for financial products such as mutual funds and insurance, will be launched in July. Goel had joined Rocket Internet-incubated Jabong last year before Sanjeev Mohanty came on board as the new chief executive officer and managing director. Technology giant Microsoft has acquired Wand Labs, a startup which builds messaging technology for apps, founded by IIT Delhi alumnus Vishal Sharma. The terms of the acquisition were not made public, reported Mint. Sharma, who was previously vice president, products at Google, founded the startup in 2013. The acquisition will help extend the power of Microsoft's search engine Bing, its cloud computing platform Azure, Office 365 and Windows platforms to empower developers everywhere.